You may need to reset Windows Vista password for any possible reasons. That could be that you returned from a long vacation and when you tried to log into your system, you can’t seem to type the correct password. Don’t panic, if those kinds of cases happen. 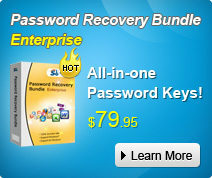 It is easy to reset Vista password and access Windows with some specific solutions. The following is the ways on how to reset Vista password. Relax yourself at first. To fret can’t solve any problem. Be confident that you can retrieve your Windows Vista password with educated guesses. Think about anything in relation to your password, may be your birthday, wedding Anniversary, your son’s nick name, the town where you got birth and like that. If you concentrate enough, you can easily get back your password. It is the quickest way to ask help from other users who can access to your Windows with administrator privileges. For instance, you happen to forget a limited user account password, and you are able to ask administrator to change your password from within his or her account. 1: You need another computer which can access as administrator. Download Vista Password Reset Software, setup and run it by following the wizard. Remember to insert a blank CD. 2: Choose “reset Windows local account password”, and tick “CD/DVD” and specify your device. 3: Click “Burn” to start burning a Vista password reset CD. 4: Insert your CD to the computer you can’t access to and boot it from this CD. You will enter the interface of Vista Password Cracker under Win PE. 5: Choose the Windows installation to be processed, and select the user account you would like to reset and click “reset”. When you are notified with two dictators, confirm your reset by clicking “Yes” and “OK”. Your password has been removed. 6: The reset will be active after you reboot your PC. Reset Windows Server 2003 Password? Reset Windows Server 2008 Password?